Let's start off April with a bang...or maybe a giveaway! 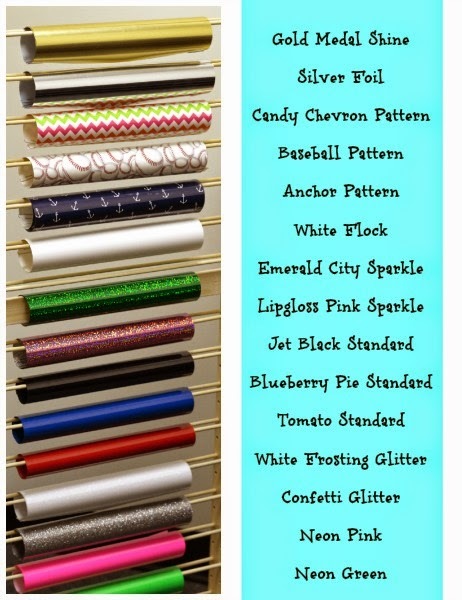 I'm teaming up with Happy Crafters to giveaway a whole bunch of heat transfer vinyl. 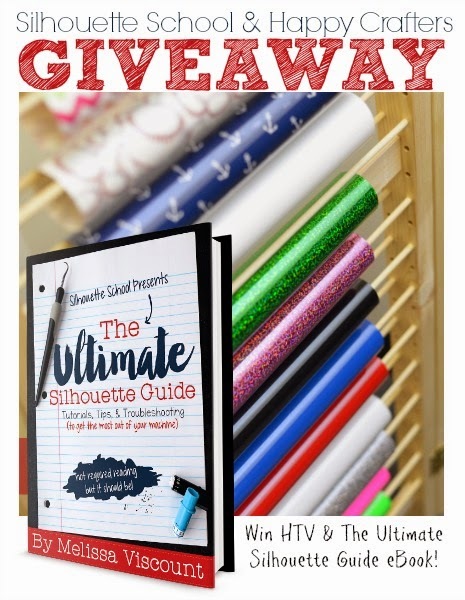 And just in case you're new to HTV, I thought I'd throw in a free copy of The Ultimate Silhouette Guide, my new ebook, so you can learn everything there is to know about HTV (and pretty much everything else related to Silhouette). 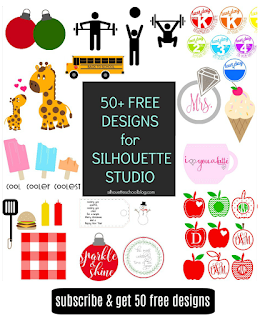 Ready for your chance to win all this specialty HTV from Happy Crafters plus my new ebook, The Ultimate Silhouette Guide (which I should mention is getting rave reviews...)?! All you have to do to win this prize pack worth more than $100 is enter below! The contest is open until Monday, April 6 at 11:59 pm EST. The winner will be announced Tuesday, April 7 by email. Unfortunately, due to shipping restrictions, the contest is only open to US residents 18+. Oh my gosh...I would HTV ALL the things (so, pretty much, business as usual, with DIFFERENT htv!) I've never seen these...LOVE! So, I just got my cameo for my birthday on March 27th and pretty much have not stopped using it since! My husband just doesn't get it! This blog has helped me so much! I'd love to start working with HTV or fabric in general! I even have the pens! The excitement is unreal! For almost 5 minutes I was in shock because I couldn't decide what to do first! How cool would this be. I love the baseball. I am just learning how to do HTV. I made some disney shirts for my kids a few weeks ago, but I'd love to try out some of this new patterned material! I would love to make some shirts or put some on a bag for my son for this summer!! Got the Cameo for my wife, but I'm the one who's been using it. We'd love to have the HTV, we have so many ideas/projects that we want to get to. We've been enjoying the ebook, it is an excellent source of information as is this blog. What a generous offer! This would be amazing!! I received my Cameo in December for my birthday/Christmas and am in LOVE!! I have not ventured into the HTV aspect of it yet though.. I've been a little intimidated by it. I have read EVERY post you have on your blog and LOVE all the info you share. You have given me so much helpful advise and direction. For that I want to thank you! I would love to try the HTV, but the cost is not in my budget right now. (Graduation is looming near for my youngest) But if I won some??!! Love it!! Thanks for the opportunity. Would so love to win your book and all this vinyl! I got my Cameo for Birthday in December and am loving it!!! Haven't done any HTV so this would be a great opportunity to try! Thanks!!! Thank you for the giveaway. I see raglan shirts for the baseball print, and dreaming of the other prints on shirts for examples for publishing. Just starting to use HTV....so there would be several items that I might consider using it on...would just be nice to have an assortment to just look at the pretty colors! Just ordered my Cameo 2. Can't wait to get it. I've been reading Silhouette Schoolhouse for a while. Hope to get up to speed quickly. I would try a lot of different things to HTV. I would make new throw pillows for my new apartment! I make shirts for my kids, so I would have so many new things I could try out! I would love to make a disneyland shirt for my daughter! onesies for my expected grandbaby! If I won I would decorate a fabulous pencil case to use at work and all my students will ask where I got it! I would add it to a tote bag for my daughters teacher! I would make more shirts for my kids! We are going to Disney World this fall! I would Vinyl EVERY THING (well that was cloth)!!! I would love to win to learn more about my Silhouette as well as make beautiful tshirts for my grandchildren! I am very new to HTV. I would use it to make some cute things for my granddaughter. I have yet to try HTV, but would love to make shirts. I would like to make some t-shirts for my grandchildren. I'd make a shirt for one of my sons! I think the better question is what would i not HTV? I would definitely HTV some shirts and purses with my new married monogram though! I love your daily tips! I am just learning how to use my machine and attempted my first heat transfer project by making matching shirts for the special education teachers at my school. I would love to win your book so I can increase my skill level with all your wonderful tutorials! T-shirts and maybe a few pillows too. Love this! I am excited to start trying HTV. I want to try one of the stuffed animals with the birth info on the ears, similar to your Easter bunnies! Would love to see a beach theme. I'm a novice at using my Silhouette Cameo and love all of the information and tutorials you post. I have my eye on that guide book! First...Tees but really I would love to do some personalized items for my DD as she has a name that you never find personalized stuff for, the poor boo...she always looks and never finds her name so I would like to make her stuff personalized so she can feel extra special!! I have a couple of tee shirts in mind I would love to make. Onesies and everything I could lay my hands on! Lots of projects pinned for my girls and grandkids! I have teen girls who are into embellishing everything right now. I'd use HTV on shirts, jackets, jeans, and bags. Plus I'd really, really, really love to get the book! I would so love to win this, not just the HTV..but the guide - that is the real prize!! I would be making the cutest T-shirts for my grandchildren!! I would make onesies for my new baby we are expecting and for our little girl who is excited to be a big sister!! Love using HTV for shirts and flags! I would add it primarily to clothing. Haven't tried any HTV yet, I think I'd like to make some t-shirts and pillows for family and friends to start. I have so many ideas...yet so little time or resources! I'd love to start personalizing some things and winning this HTV would help me get started! Would love to win. 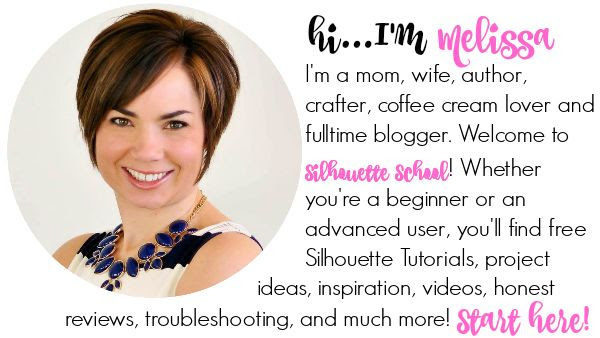 New to silhouette so this would be a great help! Thanks! Oh my goodness I love this blog! The question is: what wouldn't I add HTV to? ;) I would start with shirts for my 3 year old and baby due in June! Thank you for the opportunity to win and all the helpful tips! I LOVE HTV! Can't get enough of it. Just bought a heat press and can't wait to do it flawlessly over a handheld iron now! What a great prize pack! I would love to win this. Thank you. Lots of cute things for my DD's new dorm room this Aug. Pillows, towels..and a new shirt she asked for just last night. What a fantastic giveaway!! I just discovered HTV and am loving making shirts for my three kids!! The sky is the limit! My husband just purchased the silhouette for me. I have made a couple of projects, but I know there is so much more I can do with this machine. Winning this prize pack would definitely help me out! I wait tables, and am always dolling up my aprons and making 1 time wear, special occasion shirts for work. Anything flat that I could get my hands on, my sons tee shirts are begging for some action. I want to make cute onesies for new granddaughters. LOVE LOVE LOVE you! Your book, blog, tutorials etc etc are so helpful! Congrats on your success! Just bought a heat press and would love to use all of these wonderful colors/pattern to make pretty things! Thanks again for making my crafting time productive and fun! I would make some stuff for my little boys! Thanks for the chance to win this prize pack. I would use it on some things for my new great nephew. New babies always need cool things to wear! What a great prize. Would love to win either, but both together is amazing. I would use it to make a shirt for a pregnancy announcement to tell our families over Skype! I have never tried HTv so I'm hoping to win so I can create some shirts and book bags! I would try everything HTV--clothing, purses, banners, wood, anything! i am dying to try HTV!! I would make things for my grandchildren. Wow, I would overload my grandkids with goodies and then work on some for myself. Tote bags! I would love to try out some HTV on oven mitts like I saw on the Happy Crafter's IG! And, of course, lots and lots of T-shirts and goodies for my twin boys. I would HTV all the things! LOL I just booked our family camping trip for this year so I would make us all t-shirts! Love the chance to win! Thank you! I would use the HTV to make personalized shirts for my 3 year old daugther! A pillow for my sofa. I would add HTV to tanks and beach towels. I love htv and the color options Happy Crafters offers! Thanks for the chance. I would put on tee shirts for family! I would decorate a pair of shoes. I love the ones you made with anchors! I would try and put htv on the shoes like you did on the blog this week. I am going to use the HTV with my Girl Scouts to create decorations for our Brave (Disney) Camporee in May. With what's left over, my daughter and I would "dazzle" up everything we could get our hands on. I'm still skittish with HTV so we could use the practice. i have some shirts designed for my boys for Star Wars weekend i have to make. This would come in handy!!!! I so need this!! I got my Silhouette for Christmas and I haven't braved HTV yet. I've been nervous about trying HTV on clothing. I would really like to make some personalized items for myself and my grandsons. Thanks for your inspiration and generous offer. I want to play with HTV !! T-shirts and lots of stuff for my girls. Want to try pillows, too! I would love to HTV a canvas bag for the boat with that adorable anchor pattern! Loving all of the cute patterned HTV!! I still have yet to try HTV but I've always wanted to! This is awesome! I would use this prize to make shirts for girls who are attending a local spring break cheer camp. Typically I volunteer my services and provide the vinyl out of pocket because the camp is for girls who cannot afford it. This is a camp that provides them something safe and fun to do during spring break and making them shirts to keep is my special way of making them smile at having a way to remember such a great time at camp! I would make my first ever HTV project, a baseball mom shirt for me, a baseball dad shirt, and 3 baseball boy shirts. Make shirts for my daughter! Wow, what a great prize, would love to win! I would make t shirts for my grandchildren. I love Happy Crafters HTV. It cuts perfectly and irons on easy. I would use the specialty HTV to decorate pillows and canvas frame. I'm pretty sure I would go crazy with all this awesome HTV! I'd make some seriously fun stuff for me and my kids! Crossing my fingers!!! I had no idea the Silhouette machine existed until a few weeks ago. I instantly purchased the Portrait along with some supplies. My first project would be making a Neil Diamond shirt for his upcoming concert this Thursday! What an awesome giveaway!! I use HTV on many MANY things! I'm really excited for this giveaway. Im mostly excited about winning the book. *crossing my fingers* I hope I can win! what a great giveaway! 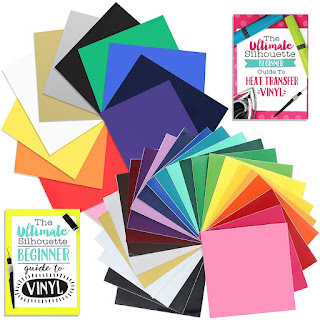 I would use the HTV to make cups for my friend's bachelorette party in Miami- along with so many other ideas flowing through my mind :) I am more excited about the book though! What wouldn't I add HTV to is truly the questions...shirts, shoes, hats, gloves, undies, socks, pants....anything else I missed?! Gosh I would do so much with HTV!! Canvas bags, baby tops, and dinner napkins!! I add HTV to anything that can be ironed!!! My 4 granddaughters and co-workers love me now! By the way, I purchased the Ebook and love it! I love the anchor htv! I would totally make a nautical tote for the beach this summer. Love to learn! Thanks for the opportunity! I have 4 and 5 year old daughters....so in short...EVERYTHING!!!!!!!!!!!! I want it all!! Baseball for BB mom shirt!! 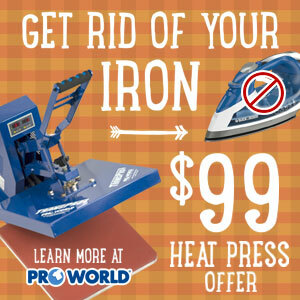 Want to use my new heat press! Onesies for my new niece! Thanks for the chance to win! It would be amazing to win all of that HTV! 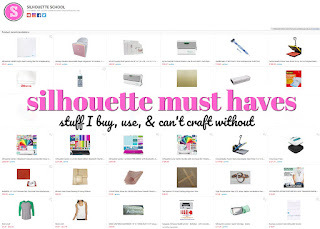 I am loving my new silhouette and could do so many fun projects with all of that! Eeeeek!! I would sooooo love to win this! I would make my entire summer wardrobe!!!! Who doesn't love a giveaway! Would love to win! Thanks for the chance! I would love to make tshirts for my daughters softball team. Thanks for the chance to win. NIce giveaway. Thanks for working so hard. Owwww weeee, this is a great giveaway! Good teamwork! I have cosmetic bags I want to monogram and this would be perfect! My name is Karey and all my tags above are kareyness. I'm not sure why it's publishing this comment as "unknown" when I have logged into my google account! I am still in the learning stage but am loving working with htv. Actually love my silhouette. I am coming up with things to make just because. I would put HTV on matching shirts with a slogan for a group of 8 of us to wear when we crop together. I have a few projects I would use the HTV on. My family camps almost every weekend in the summer & I would us some of the vinyl to personalize our tent, camping chairs and Nylon camping table. The remaining vinyl (if any is left) would be use to decorate T-Shirt & my beach bag. I want to make baseball shirts for ball season for my kids. Their dad's number is 4 every year - I want to make 4.1, 4.2 and 4.3. I would love to win this HTV and would make tons of things for my Grandson. I just purchased your ebook yesterday so if I won I would love for you to donate the ebook to maybe the 2nd place person. I love making themed t-shirts to wear in my first grade classroom! I love all of the colors of this htv! I have just recently started using it and am hooked! I have monogramed bags and made a t-shirt. Now I want to do more! My Cameo had been sitting for two years not used and now I think I have found my niche......I have so many ideas and would love to have more vinyl colors to try. Thanks for sharing all expertise with us too! I would use the htv to make shirts for a family vacation. The colors are gorgeous! I would love to win the Ebook,also! Since I am new to the cameo the possibilities are endless. But I will start with t-shirts. What an amazing offer! I read every post and swoon at your creativity, thanks for all the great tutorials! I would love to win this awesome prize package! We have so many friends and family members having babies right now and the sky's the limit! Thank you for offering such a great prize package! I would be so happy to win this fantastic giveaway!! So generous!! Both great prizes! Thanks for the chance to win! The first thing I would HTV is my bathing suit cover up. If that goes well, the second thing would be a couple of holes in the boat seats that birds made last year. Those need a cover up as well!! With 4 grandkids, I make them tee shirts all the time. I would LOVE all the possibilities with that 'stash' on hand!! I bought your books a couple weeks ago-AWESOME!! Your did a fantastic job! Thank you! The possibilities are endless when you have 2.5 year old triplets!! My daughter loves dinosaurs and says she is The dinosaur princess so she needs a shirt proclaiming this!! I'm imagining some pretty awesome family reunion T-shirts with all that fancy HTV! I bought a cameo at Christmas but needed a new laptop, I finally have the money and am now looking. The first thing I would try with HTV would be to put PROM? on a stuffed horse for my son to give his girlfriend. I really want /need this prize !!! I would add HTV to t-shirts, shorts, towels, bags, hmmmm just about anything. I would add htv to 4 shirts. My friend ans our daughters are going to a concert in June. I want to make us all shirts. I love my Silhouette book I printed it and put in page protectors in a binder. It is such a life saver! I have been dying to try some HTV! My kids love it when I make their clothes unique. My daughter especially doesn't like "boring clothes" so she would have lots of things for me to fancy up. 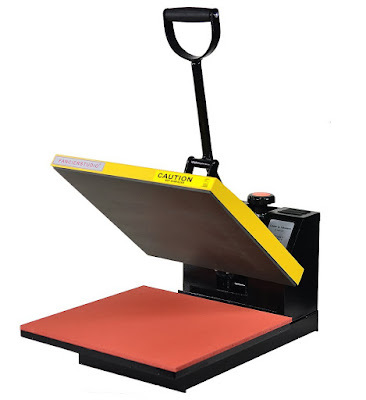 I just ordered my heat press and it should be here in a few days= this would be ideal to go along with it since I have absolutely NONE, LOL Thanks for a great opportunity! Good luck! Hope you like your heat press. I would love to make cute shirts for my 4 year old! I would love to win, I just received my Cameo 3/30 and am working on building my supplies. I am not sure what I would make first, but am looking for lots of ideas. Thanks for a chance to win! I haven't played with HTV yet, but I would a tshirt for doll clothes. you mean what wouldn't I put it on? I didn’t see my post in the messages so I’m gonna try submitting one again :) I would love to use HTV to make some t-shirts for the family and I would really like to add it to canvas bags. I’m still learning all I can about my cameo and once I’m comfortable I plan to try so many awesome projects. 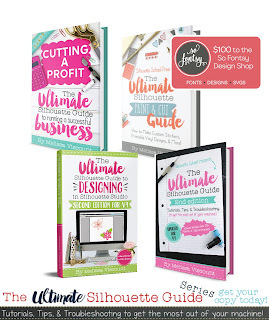 The Ultimate Silhouette Guide sounds perfect for all us Silhouette users! Thank you for the chance at your giveaway. Good Luck everyone! i would try tshirts for my kids for the first time! I would add HTV to everything! LOL First though, I have a brand new Grandson that needs something special from his Granny! I would love to make my 4 grandchildren t-shirts. I've never used HTV so I'm looking for to giving it a try. Thank you for the great giveaways! I would make shirts, totes, make up bags, shoes, sports bags etc! I would htv some visors for girls' beach trip. I would use the HTV to make clothing for my family. I would HTV some shorts for our annual OBX vacation!